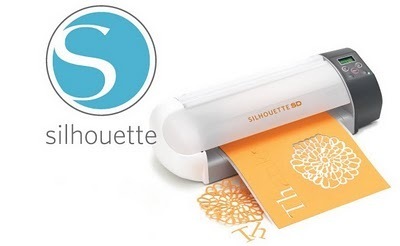 I have the awesome opportunity to be giving away an amazing Silhouette Electronic Cutting Tools to one of my fabulous Beneath My Heart readers! You have to be living under a rock in blogland to not have heard about this amazing machine. I had so much fun using my new Silhouette machine to make labels for my pantry. And this little sign for my pantry door! Love it. Okay, so have I teased you enough? Do you want one for yourself? The new Home Decor CD! That is $395.00 worth of materials. Yowza!! for only $225. That’s a savings of $150.00! When you purchase the package, just apply the promo code “HEART” to receive the discount. Premium Vinyl promotion going on too! All Premium Vinyl is 25% off, just enter “HEART” to receive the disount! Here’s how you can enter to win your very own Silhouette! The first three entries are mandatory. #1. Visit the Silhouette website and take a look around. 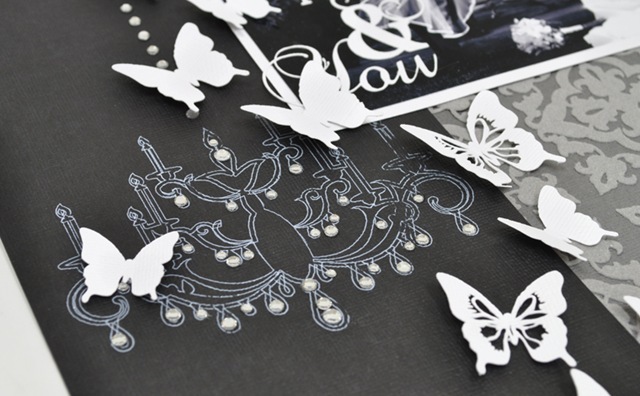 Come back and tell me in a comment what you would make with your new Silhouette machine? #2. Visit the Silhouette Blog and become a follower and leave a comment telling them that Beneath My Heart sent you. Then come back here and tell me in a separate comment that you did both. #3. Become a public follower of Beneath My Heart (through Google Friends or by subscribing, or both! (I promise to make my blog one that you are glad you follow!) :) Tell me in a comment if you follow me! #4. Tweet, Blog, or tell about this giveaway on Facebook and come back and tell me you did in a separate comment for each. Be sure to leave a separate comment for each entry. I will choose a winner through a random generator. And be sure to leave your email address so I can contact you. Now get busy and start entering this fantabulous giveaway!! 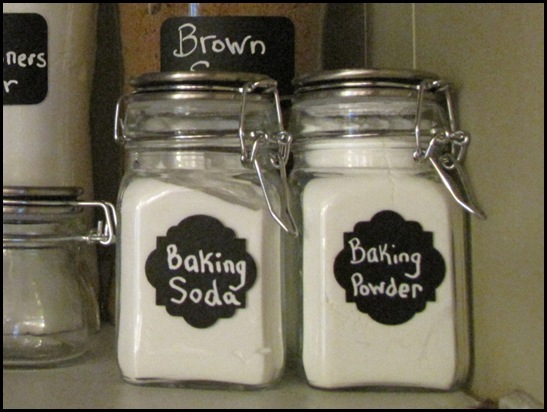 I want to make container labels for my glass jars in the pantry!!! left a comment on their blog! I’d love to win this for my daughter! I visited the Silhouette site and told them you sent me. I am already a subscriber to their blog. I happily follow your blog! I would make some subway art! I am a subscriber to your blog! I am a subscriber to the Silhouette blog! I REALLY REALLY REALLY REALLY REALLY REALLY want one of these. Like, REALLY. I would make cute stuff for my card club, which is only keeping me on as a member out of pity. -I would love to finish my scrapbooks by using the machine :) My husband would probably appreciate that the most, cause he is always asking when am I going to finish our scrapbooks. 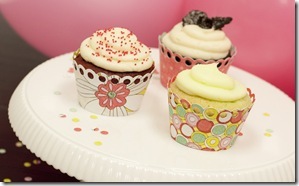 I would love to have this for birthday party decorations- the cupcake papers are awesome. Label making- it’d be so fun to be able to make cute things at home! With my Silhouette machine I would make beautiful glass etchings for my 3’X5′ hanging mirror in my living room….just waiting for some customization!!! I would love to make that gray and yellow messenger bag! #1. I have been a long time lover of the Silhouette, but can’t afford one! I would love to use the vinyl to help label and organize things around my home. I would LOVE to make some custom apparel…especially for my son! I just learned to sew and have only made things for his sister! He would LOVE something special of his own! #2 I am a follower of Silhouette and I left them a comment to show it!! #3 I am a public follower of your blog! I follow Sihouette’s blog, and left them a comment!! I’m following the Silhouette blog, too. I am a public follower of your blog…and so happy to have found it!! You have some great stuff!! I left a comment on the Silhouette blog! Became a follower of “silhouette blog” and left them a comment telling them you sent me! #2 done and done! I hope I win the give away!!!!! I follow Beneath My Heart! Became of follower publicly of YOUR blog and on FB. Left comments on both and just love this giveaway. here’s to hoping I win… but If I dont i’ll be sure to be back to peek at your ideas. I think your just so creative! Thanks for all of your ideas and inspirations. I became a public follower of Beneath my Heart…thank you for this opportunity!!! What would I make with a Silhouette? The question should be what wouldn’t I use this for!! I’ve been lusting after one for quite sometime and my mind has gone crazy with ideas! I would probably use it most for all the applique projects I like to do with my sewing. I would also make a bunch of vinyl signs for around my house. It would also come in handy for the themed birthday parties I like to do more my kids! I would love to cut some vinyl letters to make some subway art and also to make crafts with the kids. I would love to make some vinyl wall art first…and then go through all of the bookmarked crafts I have that are for that glorious day when I might get a silhouette! I am a follower, finally! But I do visit regularly. I love your uplifting blog. I visited the silhouette blog, became a follower and left a comment. I am now a follower and I left a comment on the Silhouette blog! I’m a follower of Beneath My Heart! Oooh! What a great giveaway…I really really really want to win. Please?!? I’m already a follower of Beneath My Heart…hope that still counts! I’m a follower of your blog and theirs- also their FB page. I would love to win one. I’ve been wanting one forever. I would make lots of stuff! I can’t pick just one thing I would make with it. I would do it all!!!! Wheeeee!!!!! I NEED THIS MACHINE! PICK ME! PICK ME! PICK ME! PICK me! pick mE! Oh yes, I would use this all the time. I would really love one of these!! I would make so many things, the possiblities are endless. But my baby’s first birthday is coming up and I would love to make a banner and a heat transfer shirt! Two silhouette giveaways in one day!! I can’t take it!! 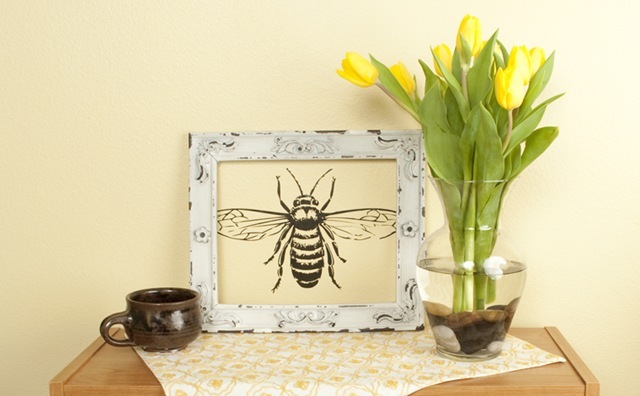 Ok, first if I were to win the silhouette machine I would most definitely do some vinyl crafts for my home! Love your chalkboard labels for your pantry! I would love to win this machine! I would make all sorts of things such as lables. I’d use the Silhouette to finish my pantry makeover, etched glass jars project. Also, for vinyl house decor :). So many uses!!! Thanks! I am blogged about this giveaway on my blog! I became a follower of the silhouette blog this morning & I just left another comment! I follow and heart your blog! I am already a follower of Beneath My Heart! I am a follower of the Silhouette blog and I left a comment. I really want to make some of the custom apparel projects! I am a follower of Beaneath My Heart on FB :)! I’m already a follower of the Silhouette blog! I just posted your giveaway on my FB. I am a public follower! I love your blog! I’m already a public follower of your blog! I posted a link to this blog post on Facebook! I visited the Silhouette Blog and become a follower and left a comment telling them that Beneath My Heart sent me! I visited the Silhouette blog, became a follower, and left a comment! The first thing I’d do with my Silhouette is etch some beautiful damask designs on my glass hurricanes! I’m a public follower – LOVE your blog!!! I want to make the “No Soliciting Sign” and labels for my pantry! LOVE IT ALL! Blogged about this AMAZING machine!!! There is so much I want to do that its hard to pick just one, but since I have to I would to make some vinyl signs around the house. Popped over to the Silhouette site and I would LOVE to create a vinyl for my entryway windows. I would love to make invitations! I now follow the silhouette blog and commented saying you sent me! I stopped by Sillouette Blog and told them you sent me! Thanks for this opportunity! I would make sooo many things with this machine, but after visiting the Silhouette website, I think I would use it most for vinyl decor and paper goods! I would be over the moon if I won!!! I would love to make labels for my pantry like you did, as well as monogram my glass canisters I got for Christmas. If I won this, it may just give me the right amount of motivation to get organized!!! Keeping my fingers crossed!!!! Left a comment on the Silhouette site and now a follower. I would use my new sillouette to make labels for all the closets you have inspired to me organize!! I am a follower of the silhouette blog and left a comment saying you sent me there. lots & lots of vinyl labels! also use as decor around house. I love these!! Hello, I just became a follower of your blog! I just became a follower of the Silhouette Blog, and commented on the 1/12/11 entry saying that I found them via your blog! long time follower! thanks for hosting. I am a follower already of Silhouette Blog, but went to it and commented letting them know that I am coming for the beneath my heart giveaway! I’m your newest follower via google friend connect. And my last and third entry. I already know what I would make first. I would make adorable invitations and host a party just so I could send them out. This would be the first of many projects! I would make vinyl labels to organize my life!! 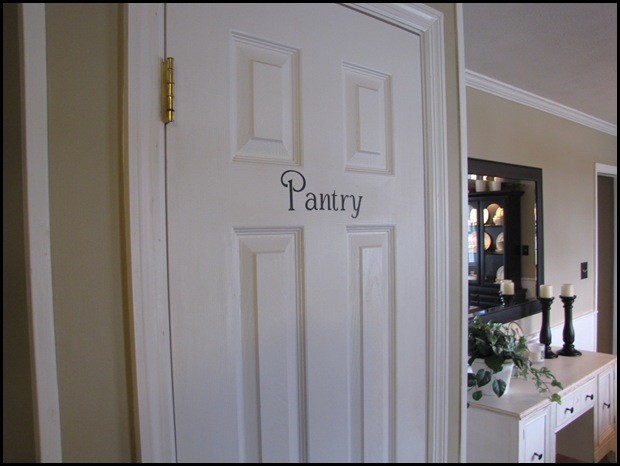 I just love the labels that you made for your pantry and the sign on the door! took a visit to Silhouette’s blog: long time follower & I did leave a comment! =) I so need this! doesn’t everyone? I have a wedding present idea that would be greatly helped by a silhouette machine! became google friend! looking forward to visiting back! shared on FB. :) thanks! I visited the Silhouette Blog (I’m a follower of them on RSS) and left a comment. I would love to do some glass etching. I’m a follower of the silhouette blog and commented. I am a new Follow!! Love your blog, wish i new about it earlier!! I’m a new follower through google! I would love to win so I could do more vinyl projects!!! I tweeted about the give away!!! What a great giveaway! I would scrapbook with it. I LOVE to preserve memories and this took is amazing. I want to make my own vinyl!!! Between my job as a Kindergarten teacher and my first baby that is arriving in June I would have hundreds of uses for this wonderful machine! Thanks for the great giveaway!!! I followed the Silhouette blog and left a comment. I already follow your lovely blog! I became a follower on the Silhouette blog page and left them a comment saying I had come from your blog. I would decorate my little girls room with her flower and tree theme finally! I am a silhouette follower! I would definitely get started putting a custom monogram on EVERYTHING using their vinyl rolls! I would totally love doing the heat transfer! This machine is awesome! I follow & commented on Silhouette’s blog! What WOULDN’T I make with a silhouette?!! Card making, vinyl on my kids’ walls, and lot’s and lot’s of labeling. Lately I’ve been wanting to do some glass etching on my casserole dishes, too. Would be fun! Love your blog for so many reasons. I already know what my first project with a Silhouette would be-an etched glass vase for a bridal shower gift. I follow via google. Love your blog! Traci, I am a loyal follower via Google Reader! If I hd this peice of awesomeness, I would start by making a label for my garbage cupboard in my kitchen- since no one can ever find it. The I would set to work beautifying my office. 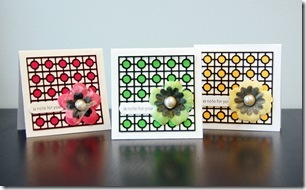 Then I would try out ALL the cool projects on the Silhouette blog. What wouldn’t I make? I’d probably first do a sign for my brother and his fiancee for their newlywed apartment. I’m a new follower of your blog. I LOVE all the great ideas you have posted. Thanks for inspiring. I would make gift tags to add to the hats I sell on Etsy when I ship them. I want to try everything with the Silhouette… 1st project would probably be vinyl for the kitchen though… I’ve got some empty space between the cabinets and the ceilings begging for a sign. If I had one of these amazing machines I would put vinyl words & scripture on my walls. I would make etched glass artwork and all kinds of amazing things for my home…labels, artwork etc…the list just goes on and on. Thank you for your amazing blog and fantastic ideas. I am now a follower of the Silhouette blog! I just visited the Silhouette website and “followed” their blog on FB. What an amazing product! Not sure if my first project with this machine would be heat transfers for clothing or labels for organizing my pantry! The possiblities are endless! I am SO EXCITED about this, how awesome! I am just getting into making my own greeting cards so i would use it for all my new cards! How fun! Thank you for doing such an awesome give away! With my new Silhouette cutter, my first project will be to make custom onesies for my new nephews who are due in JUNE. Oh, and I became a follower of the Silhouette blog, too! The first thing I would do is get my second daughter’s name etched on the glass her picture is framed in in our hallway. I just became a follower of the Silhoette blog!! I told them you sent me! Yay! I am a follower! I wanna win!!!!! I have blogged about the give away. I am a follower of your blog and have been for a while. Your projects inspire me along with your posts about your mother. I too lost my mom of cancer (at a very young age). Your blogs about her uplift and inspire me. Thank you for your wonderful blog. I truly love it. I visited Silhouette and would love to make a Sketch Design! I became a “follower” of the Silhouette blog and told them you sent me! I am a public follower of Beneath My Heart! I would definitely make etched glass and quite possibly tons of subway art. I posted a link to your blog in my facebook status! Love your blog! I love this machine and want it, BAD! I want to make vinyl decorations, pictures, and gifts. I want to make some wooden blocks with the theme on them for this year for all my youth in Young Women’s. I soooo would make signs for the doors in our house….. funky different lettering for each one, but all the same color so it flowed, so that never again does someone walk into my disgusting laundry room when looking for the bathroom!!!!!!!! I became a follower of you blog. I love it. Wee for great ideas. I would die for one of these! I would for sure make tons of custom onesies for my new baby girl! I commented and followed silouhette’s blog! I’ve really been wanting to stencil my laundry room and this would be great to design my own!! I am a follower of Silbouette and posted a comment. I’m now following the Silhouette blog and left a comment. I covet this machine! 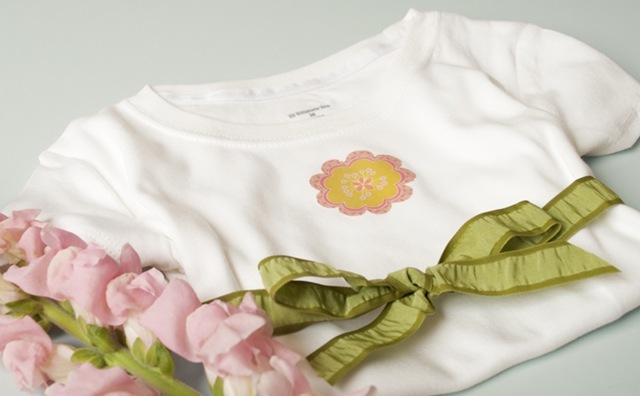 I would etch every glass object in my house, then make ridiculously cute shirts for my kids! I would do a million things with this machine! Heat transfers, die cuts, cards, etching, etc. It’s amazing! Thanks for the awesome giveaway opportunity! I follow the Silhouette Blog and left a comment that you sent me! I need this machine!!! And now all my craft-addict facebook friends will follow the link I posted and enter the giveaway, too! I would love to use a silhouette to try my hand at girli-fying some cute shirts for my daughter! So, so many cute ides on the Silhouette site! I am a new follower of your blog. I am a follower of the Sillhouette blog. I posted on Facebook about the giveaway and added a link! I want to win this so badly, so I can make vinyl labels for my pantry! I follow the Silhouette blog, and I let them know you sent me! So excited to make everything you have pictured!!! So cute! I now follow Beneath My Heart! Yay! I want to make those cute temporary tattoos! I tweeted about the giveaway @lilmissfreckles.blogspot.com. That was a typo up there. Ignore the URL. I follow silhouette and I let them know i came from your site! visited Silhouette’s website and I’d create way too many things. My favorite is the vinyl wall art! Became a follower of the Silhouette blog and left a comment letting them know you sent me…love the ideas there! I want to make container labels for my glass canisters! I accidentally replied to my previous comment. I meant to put this in a separate post, not as a reply to a post. Oops! I blogged about the giveaway @lilmissfreckles.blogspot.com. OMG, I can’t get this right! Forgot to include my email addy. I would love to make some Valentine decorations. Woo hoo, Traci! I’m so proud of you for attracting the interest of Silhouette! After looking at some of what this machine can do, my head is spinning. I think the first thing I’d want to do is vinyl cutting. I especially love the idea of being able to make custom signs and artwork. I’m a long time B.M.H. follower! I am a follower. Looking forward to checking the site out! another entry for doing number #2! I visit the Silhouette Blog and became a follower and left a comment telling them that Beneath My Heart sent me. I blogged about the giveaway, too! became a follower to your blog thru google reader.. I would make a vinyl for my stand mixer!!! Alright, next step, I now follow the Silhouette Blog!!! OMG!! I would LOVE one of these!!! I would organize my pantry and make party things for all my kids birthdays this year…who am I kidding, I would use it for mine and hubby’s too! My husband is a Chaplain at Fort Benning and I could use it to make the gifts for all our Soldier’s wives who come and go…so many possiblities! I follow this blog, now too! and I’ve posted it on FB! I am so excited about this giveaway!!! What a great giveaway. 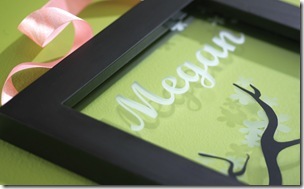 I would use the Silhouette for glass projects like menu plans and for personalized gifts. It would be awesome! 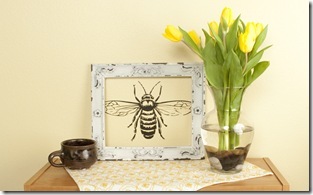 I would love to make the vinyl cut outs and try the etched glass projects – so cool! I follow publicly on Google Friends. I want to put vinyl letters in every room. Love them. Love your website! I just posted about your giveaway on my blog, stormyhen.com . Went to the site, I want to make etched glass, birthday invitations for my daughter, a laundry vinyl sign… oh the possibilities! I checked out the Silhouette website. I cant wait to get started. I checked out the silhouette blog. So many ideas. I would start with the vinyl letters. I commented on the Silhouette blog and became a follower. Linked the giveaway on FB! I am loving all the things you can do with a Silhouette. I would make a vinyl “Welcome” for my front door….that is definately the first thing I would do. I sew and I scrapbook so there are plenty of projects I would use it for. And I also shared the link on FB…. I would love to make some cute Onesies or a wall monogram! Well – the first thing I would make would be a sign for the pantry door in the kitchen that says “pantry.” Wow..that’s creative- haha! I have now officially become one of your followers! I’ve been a subscriber per email for some time. I visited the silhouette website and would love to use the machine to cut vinyl to make a “subway” art for my kitchen!!! I just found your blog through “Tater Tots and Jello”, and love pouring through all of your lovely things! I hope I followed all the directions on where to post, what to feed,:), comments galore, and Facebook! P.S., I LOVE your inspiration-my mom is also mine!! I follow the silhouette blog and left a comment!!! 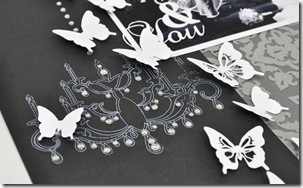 I have visited the Silhouette blog and would use everything the machine has to offer….way cool. I visited the Silhouette site, and WOW there are a million things you can do. LOVE the vinyl decor, but who could resist having a temporary tatoo?! Kids would love those things! I am already a follower of your blog and look forward to reading it everyday……Thanks. I would definitely whip out a little Valentine decor with some vinyl if I won! I am now following Silhouette Blog. They have some great ideas and inspirations for any of those lucky people that have that amazing machine. I left Silhouette a comment on their blog! I’ve been wanting to make some vinyl labels or a vinyl initial for my daughter’s room, so that is where I would begin. 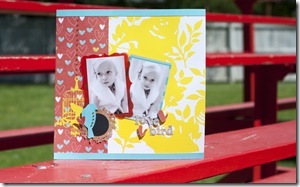 I like Becky T’s idea about Valentines–what neat cards you could make with one! I have no idea what I’d make but it sure would be fun learning how to use it! I’ve followed your blog for a while and LOVE it! I have ALWAYS been a public follower of your blog. Well, as soon as I became a blogger, which was not to long ago, but whatever. LOVE YOUR BLOG!!!! I would love to make some cute onsies for my baby on the way! I just need a great tool like this to start on them. I love the vinyl art at Silhouette’s website. I LOVE the vinyl decor for my walls!!!! I follow their blog and told them you sent me. I visited the Silouhette Blog (amazing!) and left a comment telling them I was visiting from Beneath My Heart and became a follower of them! I would LOVE to win this opportunity for the chance to make those cute little labels you can write on with a white marker/chalk! Thanks for the chance to win a life-changing tool! ;) Have a WONDERFUL day! I want to make white vinyl letters to go on my new red kitchen canisters! I would LOVE a new Silhouette. I would like to cut out some letters to use on the wall in my sons’ rooms. Plus, I scrapbook and make cards, so I know it would be divine to have for that! I am a follower of Silouhette and left a comment telling I was visiting from your marvelous blog! Now a public follower of YOU!!!!! I also put something on my Facebook status about the giveaway for all my friends to see! I am now “officially” a follower of your’s…I have been enjoying your blog for a couple of years now ;) I am addicted…I can’t believe I wasn’t “official” sooner! ;) Thanks for a wonderful giveaway!! I am a follower and would love to go crazy making fun labels for my pantry! I love this machine. I really would love to get one…although I might have to take a class on how to use it. I really would love it for making those cute labels, but who knew it made temporary tattoos. I think for kicks I would make my grandsons a tat that says “Mimi loves me”. Wouldn’t that be funny? Oh, I hope I get picked. Oh, I am already a follower. I would love to do the glass etching! I’m a follower of BMH! I would definitely use mine to make some subway art for my kids newly redone bathroom! I am following sillhouette and commented. I did follow and leave a comment at Silhouette blog. Following and commented at Silhouette! Put it on my blog, too!!! (#1) Ok, this is the most amazing give-away YET! I *HEART* the Sihouette so much and would love, love, love to have one! I never leave the house as it is with my recent blog-reading obsession, I would surely hole up like a hermit and never go outside if I had that Silhouette to play with all day LOL! You are going to have so many comments it might break your blog! Best of luck to everyone who enters this amazing give-away! (#1 continued) Forgot to say what I would make with my brand new Silhouette machine … I would absolutely start with some etched glass projects, I would also do those ADORABLE blackboard labels just like yours, and then I would take on a heat transfer project. I’ve always wanted a t-shirt with a “Hello, my name is …” tag that reads “Hello, my name is … Inigo Montoya. You killed my father. Prepare to die!” (famous line from The Princess Bride)! I just looked at the Silhouette website. I’ve been in a neighborhood homemade card club for awhile. A Silhouette machine would save me so much time, especially since I don’t even have a Cricut machine. So, I would use the Silhouette to cut out shapes/designs for homemade greeting cards. I love the things you made for your kitchen!!! I would love to make some things like that for my house! I left a comment on the Silhouette Blog and told them that Beneath My Heart sent me! I am now a public follower of Beneath My Heart! (#2) I went to the Silhouette blog (didn’t even know there was one – I’ve visited their site before, why did I not see the blog button?) and have become a follower. I also left a comment that you sent me! I made a post on my blog about your Silhouette giveaway! I made a post on Facebook about your Silhouette giveaway! (#3) OF COURSE I am a public follower of Beneath My Heart! You were one of the first websites I started to follow when I started my blog obsession. I also have you listed on My Blog Roll, and check your blog out every time there is a new post! From the Silhouette website, I am now thinking I need some sort of welcome sign for my front door. I think I’d start with some etched glass, lovin that lately! The first thing I’d make is some vinyl to go on my Living room walls. I told silhouette that Beneath My Heart sent me! I visited the Silhouette Blog and left a comment. I would love to be able to make pretty much anything with vinyl! Of course I follow you! Who doesn’t? I lived under a rock for a bit…now I dream of projects! My first would be to do a vinyl silhouette of my daughter in a figure skating pose and put on her wall! She’s a skater and we’re re-doing her room! Became a follow at their site as well…so scary how many things this machine can do! Lord help me! (4) Ok, I’ve put your give-away in the Give-Aways section of my blog! All set. Let the games begin! I want to make picture custom picture frames. became a follower of theirs! I am a public follower of yours too! I LOVE this machine and all of it’s possibilities! I’ve got an itch to try out vinyl! There’s all kinds of surfaces I’d like to apply it to! I became a follower of the blog. I follow the Silhouette blog and left a comment that you sent me! I looked at their website and I’de love to make some labels for my pantry and all closets!! Hi! I became a follower of the Silhouette blog and left a comment that you sent me!! Thanks! I would love to make titles for the probably hundred scrapbook pages I have that don’t have titles b/c I don’t like my handwriting! I’d also love to do a vinyl decal for some built-in storage that I have. Great giveaway! I took a look at their website. So many great ideas….but I would go crazy with labeling everything! yay!! I follow you now!! ( I though I did…but I guess it was just through FB! I became a public follower! Awesome Machine! I would love to make some wall vinyl signs for my hallway and entry. Thanks for the giveaway opportunity! I’d love to make some of those “BLESSINGS” blocks for me and my family that I’ve been seeing all over the crafting net. Thanks for the opportunity to win the chance to do just that. I’ve been a follower for a long time love your blog! I went to the Silhouettes website….I would most probably use the machine to make things for my students in my classroom first…cool Valentine’s cards or new field trip t-shirts for the grade…although I really liked what they did with the picture frames/etched glass! I subscribed and “like” you on facebook. Love your blog! OMG I want this SO bad! I want to make all kinds of cute little and big organizing labels. And SUBWAY art!!! I LOVE tiles with vinyl lettering on them. I’d probably do that first, maybe with our last name or a special word, or something like the “O Holy Night” tile. It’s SO pretty! Then I might try my hand at glass etching! I’d LOVE to try that! If I had a Silhoutte, I would start off my making lettering for my laundry room! Became a Silhoette follower and left a comment on their blog. There are so many great ideas on their blog! Am now Following the Silhouette blog. I now follow the Silhouette blog and left a comment! I would make glass etchings and vinyl lettering. Glass etching!!! I’m so excited about it! Visited website and left a comment! I’m a follower and you’re on my blog roll! I would make some AMAZING party and wedding decorations if I had a Silouhette!!! I believe the first things I would make would be for our new house or our new baby. We are having our first child (a daughter) and I would love the try the clothes and vinyl wall hangings for the nursery. I follow your blog! Google, fb, and twitter. Thanks for the giveaway. I would definitely make some of the vinyl wall signs that everyone else seems to have. I am a new follower of your blog. Love it!! Went to the Silhouette blog and became a follower & left a comment on the cute onesies. I am also a public follower of the Silhouette blog. Love all the vinyl art! I would do a vinyl project…probably organization of my hall closet…games, DVD’s, etc. I am now a follower of your blog too. I would so love to win one of these machines!!! I want to make vinyl images and labels – would love to win this. I am a follower and happy to be one too. This is a great giveaway! I would have so much fun doing a vinyl project and the glass etching is so cool! I would love to organize my pantry and this tool would make the job sooo much more exciting! Oh– I love reading your blog! I am now an official “follower”. I would love to use the silhouette to create titles for all of my scrapbook layouts, but I would also like to try out the glass etching and vinyl wall art. I love your blog~ Thanks for the opportunity to win the Sihouette. 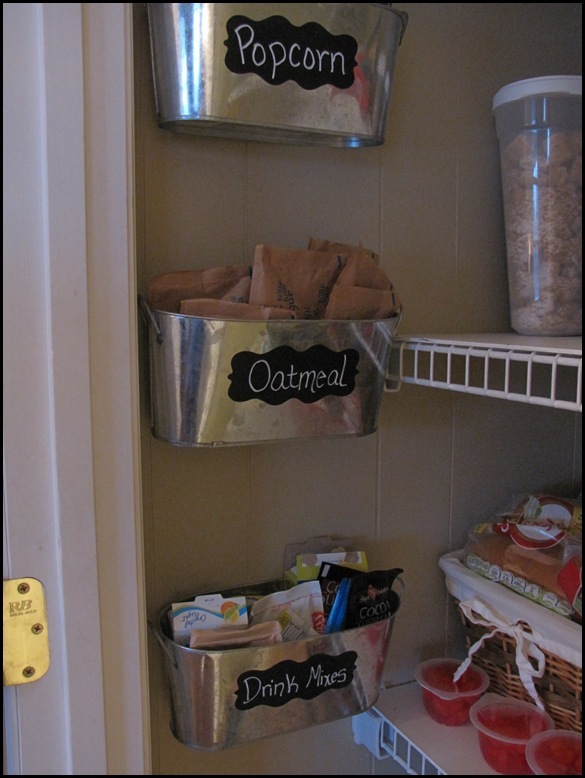 I would so use the vinyl lettering to organize my sewing room and all of my containers for my different fabrics. I’m now following in the Silhouette blog! Thanks for letting me know about this wonderful machine. I think I was under a rock! I’m a follower plus I receive your updates via email! I have written a blog post, too! I love this machine….I can think of endless projects…thanks for sharing..
Aside from the obvious crafty projects, I’d make temporary tattoos for my twins! They’d love it!! I’m a long time follower. I posted a comment on their blog. And I tweeted too. :) Thanks for the opportunity. Love your site! I would love to make some signs for boy’s rooms! I need to make some labels for my spice jars!! I am a follower of the Silhouette blog and left a comment. I follow the Silhouette blog and I left a comment! Checked out the Silhouette website. I would make some iron transfer onesies! I’m always on their website, checking out new idea’s I’d love to do wall art like your pantry door!! Great giveaway! I’d like to try some vinyl projects or maybe in my scrapbook! I want it for the apparel crafts and to make those awesome labels you used for your pantry make over. I have been a follower since 2009! Wow, has it really been that long? And now I follow you on FB! I am a follower!! I would give it away! I recently purchased one after Christmas w/ my Christmas money–and I LOVE LOVE IT! I have had it just over 2 weeks and have used it tons already. It is a great machine. My SIL would love to have one too; I would love to surprise her with one! Just became a follower of beneath my heart. Love your site and esp. your tribute to your mom! I would make the fish for Thurgood’s big boy room…and some new vinyl for my master bedroom…oh…that would be just the beginning. OH my…what a fabulous giveaway. Would love this machine. I really want to put vinyl on everything and label my pantry, too. The very first thing I’d make with my new machine would be a heat transfer that is a silhouette of my daughter pitching…this is her Senior year and I want to represent her in a very personal, special way! Follower of Beneath My Heart. visited the silhouette blog, became a follower,and commented that you sent me. Fingers are crossed! I would start with etched glass projects. I would make a saying to go about my couch! I have been a subscriber to your blog for over a year, I just became a follower of Silhouette and left them a comment saying you sent me. Hope I win! I would LOVE to win!!! I would make really cool onsies with it! :) Here’s to hoping!!! I love the idea of the decorative personalized gifts! Bridal shower gifts…here I come! I definitely follow your website! You have so many great ideas! I became a follower of the silhouette blog because of you…and I told them so! I “like” you on facebook as well! I want everyone to see your great ideas! I would LOVE to have the Silhouette to create items for my daughter’s upcoming 4th birthday party! I would love to do some of the vinyl clings! I became a follower of the Silhouette blog! I would like to try glass etching. I left a comment on the Silhouette blog that you sent me there! I follow the silhouette blog. I left a comment saying that I’m visiting from Beneath my Heart. I follow your blog via RSS. I posted about the giveaway on my facebook page! I would definitely use this to label everything! We home school and cook non-stop here- I need some good motivation to use an organizational system! wow.what an awesome giveaway!! i would make lots of labels and also use it when i scrapbook! I went over to the blog and commented and told them you sent me. I follow your blog and silhoutte’s blog.. I told them you sent me.. I will make a heart pillow for my hubby that will last forever.. Thanks..
I’m following your blog now! It’s such an interesting read! I’d LOVE to try my hand at etching glass with the Silhouette! Of course I’d also have to use it to help make my bulletin board displays in my kindergarten classroom as well as my paper-craftiness each weekend… oh, the possibilities! And I’ve posted about this on my facebook page! …. and I follow you AND the Silhouette blog AND I left a comment letting them know that you had sent me over- their blog is amazing! I have an entry way that is still screaming for some vinyl it looks so lonely. I’m a follower of your blog and love it. I would love to get this. My first project would probably be, getting things organized and labeled in my laundry room. Thanks for the opportunity!!! I would love to make a ton of projects with the Silhouette, but the first thing I will make when I win!! is some vinyl letters for my hallway. I would LOVE a Silhouette machine! I would use it for vinyl lettering, party decorations, and EVERYTHING else!!! I follow the Silhouette Blog and I left a comment telling them that Beneath My Heart sent me. I am a public follower of Beneath my Heart- Love your Blog. Thanks for the chance to win. I went to the Silhouette blog and told them you sent me! I follow Beneath My Heart ! If I win the silhouette, the first thing I will use it for is to make all of the decorations for my daughter’s upcoming 2nd birthday party. It would be so nice to save myself so much time! I went to Silhouette blog, followed and told them you sent me! I would make some kind of wall art. Oohhhh….I would make lots of things. I’d probably start with some wall words though! Thanks for the opportunity! I would love to do vinyl murals for my sons bedroom! I could do lots of crafting with this machine!!! Especially for my pre-school Sunday School class. I teach 2-4 year olds and they love to make crafts for their mommies and daddies for special occasions!! Please let me win!!!!! Your blog is wonderful with lots of great stuff. Thanks for sharing this give away! I visited the site, became a follower, and left a comment! I would love to make some cute onies for my new twin neices!! I would use it to organize my pantry and my laundry room! wink wink! If I were lucky enough to win this fab giveaway-I would make a big fat vinyl monogram!! My kids and I would start with tattoos! I’m definitely following you! Great ideas! I became a follower of the Silouette blog and told them you sent me!! I am a follower of your delightful blog! I did it…you make us jump through hoops, but that’s okay…I became a follower of the Silhouette blog and even browsed it. Very interesting things that machine can do! And I really did visit the silhouette website and gosh, I’m a quilter, sewer, card maker, and I own a resort with a gift shop, so I can only imagine the things I could make with the cute little machine…I would have signs everywhere at my resort…cutesy ones that the guests would love! With a daughter getting married in April, I would definately put this machine to good use! We could make all kinds of cool paper crafts and signage for the wedding. I checked out their website for some ideas! And I’ve been reading your blog and you are on my blog list of favorites on my blog… http://www.crlodge.blogspot.com. But now I’m a public follower and look forward to all the great ideas that are still to come…I’ve already benefited from what you’ve taught us already. Love that your Mom is your inspiration! I would definitely make some cupcake wraps for all the cupcakes I make! I would love to win this machine to create wall art for my home. 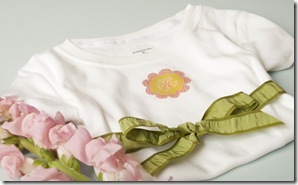 I would make my grandchildren, Ella and Shepherd, some personalized clothing! I”m a follow of silhouette! I would make tons of heat transfers! Ummm…think I am in the right place now and I think I did all the right stuff. New to all this blogging!!! Love the silouette site…oooh so much fun and can’t wait to use it to spruce up our new digs! I am a public follower as well..Love your ideas! Ummm…think I am in the right place now and I think I did all the right stuff. New to all this blogging!!! Love the silouette site…oooh so much fun and can’t wait to use it to spruce up our new digs! We have had all of our stuff – photos, crafts, toys, ALMOST EVERYTHING in storage for the last 7 months. Can’t wait to organize and LABEL everything!!!!! I think I will use the etched glass feature to make some cool jards for my new pantry(so excited – never had a pantry before!!!! I am a public follower as well..Love your ideas! I follow the Silhouette Blog and left a comment telling them you sent me. And I also became a follower of the silhouette blog and posted a comment! Became a follower of Silhouette and commented on their blog! I REALLY would like to win! I would use it most for home decor projects – mostly with vinyl – right now, but I’m sure I would find a million other ways to use it too! Thanks for the chance to win! I want to make shirts for my girls! I have followed your blog for quite some time (since the cafe shelves, I think) and I love it! I am now a follower of the Silhouette Blog! I left a comment letting them know that Beneath My Heart sent me! I would make a Valentine’s Day project with the heat transfer vinyl. I follow the Silhouette blog and I left a comment. I posted about it on Facebook. I shared the Silhouette giveaway with my friends on Facebook! I am a follower of Beneath My Heart! I am in the process of doing some redecorating in our church, and I would use vinyl letters on one wall using the different names of God in the sanctuary. I was wondering how I was going to accomplish this, and the Silhouette would be the perfect way of doing this!!! I left a comment on the Silhouette blog telling them Beneath My Heart sent me. I have been a follower of theirs for awhile. Awesome giveaway! I would love to try the glass etching feature! I’m following the Silhouette blog and left them a comment! The first of the many things I would make would be a vinyl for my oh so bare dining room wall. 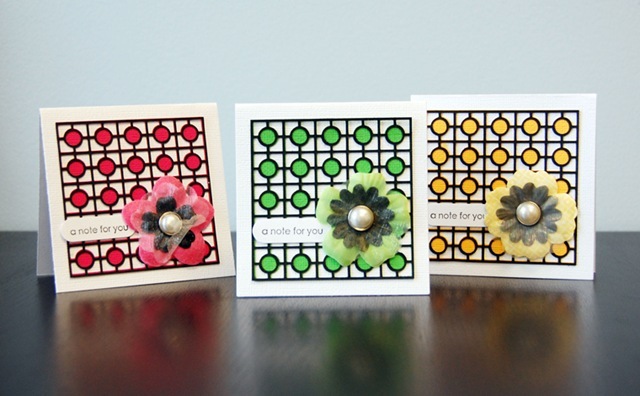 I am following the Silhouette blog and left them a comment! I am now following your blog too! I am following the Silhouette blog and left them a comment!!! Keeping my fingers crossed ! I tweeted about this great blog and giveaway! I visited Silhouettes website and I want to lots of stuff with the vinyl, similar to the things you have done. I have visited Silhouettes blog and left a comment under the butterfly mobile! I am now a follower of this blog! I have shared this giveaway on facebook with all my friends! I would make a sign for my kitchen. I visited their blog and left a comment. Hi Traci! What an exciting giveaway! I went to silhouette and I would definitely be making something for my MIL’s nursing room to cheer it up. She’s 90.5 and we just admitted her after having her live with us for 3 years. I really want to cheer her room up. Maybe make a nice scripture verse wall hanging. P.S. I’ve missed hearing from you. I’m now a follower of your blog! It looks fab! I’m a follower of Silhouette and I told them you sent me! I am super interested in trying the glass etching! Also love the chalkboard labels you did in your pantry, so cute! If I win the Silhouette (which I REALLY, REALLY hope I do) my first projects are going to be some custom tshirts! I’ve been following for over a year now but I made sure to sign up through email and GFC. I follow silhouette’s blog already! I would love that silhouette for crafting stuff to decorate my home and to add to my tent at markets! I would make cupcake wrappers, along with tons of home decor ideas I have. I’m super excited about the new frosted vinyl. So much easier than really etching the glass. So happy to find the silhouette blog! I’ll have to tell my niece about it! I did become one of their followers! I follow and commented at Silhouette! I’m already a follower of the Silhouette blog, but I left a comment that you sent me over there! I am now officially your follower on your blog and twitter! I have georgette about your giveaway! 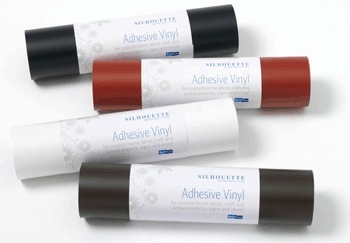 I visited silhouette’s site and I soooo want to try the vinyl. I think this machine is so amazing. I want one for vinyl, t-shirts, crafts, and scrapbooking. It does it all. I want one!!!! I just facebooked (I just made that a word) about the giveaway! Man I can’t wait until Saturday! I am now a follower of yours and look forward to see your blog. There are so many great ideas on their website, I think I’d like to try putting a saying on a pretty mirror and hang it in our foyer! Totes tweeted about the giveaway! I love lots of things but I think the vinyl lettering would be awesome to do. I love the “welcome” on the front door! I really want to try out the vinyl with the silhouette. Love it! I follow the silhouette blog and left a comment. I’m a follower of beneath my heart. I became a follower on the Silhouette blog & left a comment about Beneath My Heart sent me. just became a follower of your blog! thanks! I would make vinyl art for my car!!! i already follow the Silhouette blog and left a comment! I am a new follower of your blog, looking forward to reading your posts! I follow the Silhouette blog and told them you sent me! i really want to try the glass etching! I would def. spruce up some of my kids t-shirts! I would like to make some etched glassware. I just can’t find the kind I want… so, I’d make my own! Stopped by the Silhouette Blog, became a “follower” and left a comment letting them know you sent me! I am now a “follower”!! Girl, YOU ROCK! I would love to have this machine. I would probably use it to do some kitchen and dining room decor. Thanks for the opportunity. I went to the Silhouette’s blog and became and follower and left a comment. I also follow your blog as well!!!! I would love to do some etching on glass – vases and mirrors! I want to make some gorgeous chalkboard labels for all the glass jars and canisters in the pantry; it’s very, very humid all year ’round here on Cape Cod, so I have a h-u-g-e collection of glass, and I’m always confused about what’s in them! I am absolutely dying for a Silhouette machine, and think it’s one of the most brilliant and useful new products we’ve seen in a long time! I am now a follower of the Silhouette blog, and I left a comment under the recent heat transfer posting. I am a very dedicated follower of Beneath my Heart — wouldn’t miss it, even without a Silhouette contest! Love and kisses from Cape Cod, Massachusetts! I would make vinyl clings to decorate my kids’ rooms. I went to Silhouette website I’d try about all the different things with it but think it would be fun to do the temp. tattoo’s for my grandson’s thanks for this chance to own one of these great machines! I am now a follower of Beneath my Heart blog! I just posted this on my blog sidebar! I visited the Silhouette blog, became a follower, and left a comment telling them that you sent me!!!!! I just became a follower of your blog and I am so excited that I found you!!!!! I would use the Silhouette to etch glass, create stencils, and vinylize everything that didn’t run away fast enough. Including the kids. I would make beautiful cards for family and friends… and teacher gifts… and signs for my home reminding all of us of what we value most… and chalkboard labels… and… and… and… I keep thinking of more ideas~! Oh, and I have been a follower for a while! I follow the Silhouette blog and I left a comment there. I can’t think of much I wouldn’t make with this machine! I have wanted one for quite some time, and I drool with envy everyday, as I look at the awesome things people are making in blog land! I am now an “official” follower of your blog! I am now a follower of the silhouette blog! Thanks for the chance to win such an amazing prize! I am now a follower of the silhouette blog! I read your blog almost every day. Thank you for the opportunity to win this! I just went to the Silhouette website and if I were to have one of these I would use it to scrapbook, decor and etching! I would make pantry labels just like you! I love this machine and would love to make some labels and vinyl and heat transfers and the list goes on and on. I would love to decorate Baby #2’s nursery with vinyl wall art! So cute! Thanks! I am a follower of Beneath My Heart! Thanks! I am a follower of the Silhouette Blog! Thanks again for the great giveaway! I would love love love to decorate my home with some vinyl wall art quotes! I’m dying for one of these! I follow beneath my heart’s blog! I didnt mean to post this twice!!! is there a way to delete one? I’ve read your blog for a long time, but decided I might as well make it official. I’m a new follower. I love being creative, so I would probably use the Silhouette in all the different ways, but I am most interested in creating the etched glass. Also, wrote a post about this fabulous giveaway on my blog! I am now a follower of the Silhouette Blog and I left a comment, too! I’m a public follower of your blog. I’m a public follower of Beneath My Heart! I would LOVE to win this! I would label everything. Etching would be next. Thanks for the giveaway. What wouldn’t I make with this!!! I’m a follower of the silhouette blog too! I would like to make some chalkboard labels to organize my pantry! posted this amazing giveaway on My blog! I’m a follower of the Silhouette Blog, and left a message ! I would make a banner and cupcake holders first for my daughter’s 1st birthday party in March. I commented and follow the Silhoette blog. I did the first three steps, I would make some of the labels for MY pantry ( I don’t have “vision” and so rely on people like you and blogs like this to inspire me! Thanks for your inspiration! I would LOVE to use it to help place inspirational quotes around the house. I would also love to get my scrapbooking kick started again…there are SO many things you can do with the Silhouette that I never realized. So glad I found your blog – can’t wait to read through it and see all of the great ideas! Checked out your Facebook also – I’m really excited to see all of the great ideas!!! Thanks! Oh – I almost forgot – following Slihouette website, Slihouette Blog, Beneath My Wings and also on facebook! I would give the machine to my wife so she could make something with the vinyl she’s always talking about. There are so many cool projects that I would love to try. 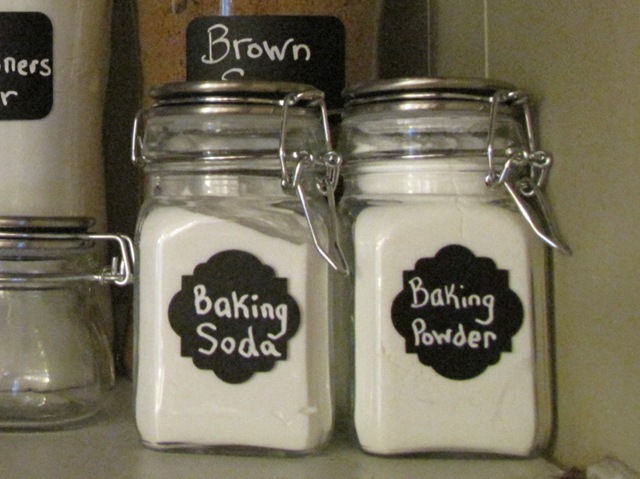 I would first make labels for things in my pantry and mudroom! I would vinyl my whole house up with this amazing new toy! I google friended them…although, I don’t see anywhere to comment that I came over because you said so. :/ I will look again. i would love to cut freezer paper stencils for making t-shirts!